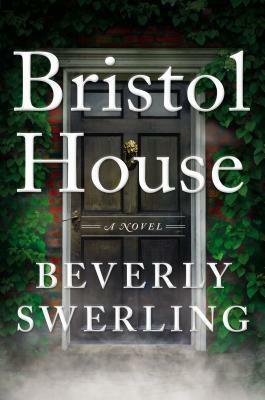 I had no idea what to expect on starting Bristol House and was happily engrossed after a few chapters in a fascinating novel of historical intrigue. It tied into things I’ve been interested in for years- The Knights Templar, anything Tudor and religious history and as far as I could tell, the story was balanced on a great base of historical accuracies and accepted truths. Swerling has interwoven a present and a past storyline to meet in a vortex of another plane- I think I was a bit lost for a while with the ghostly monk visiting Annie and wasn’t really sure what to make of his presence. It was eerie and creepy and though I have to say I’m not so much a believer in ghosts as such- this monk was definitely as real to me as he could be. His purpose is absolutely essential to the plot. Annie herself was a bit dry - I didn’t get a very good feel for her and seeking acceptance as an academic because of her past as an alcoholic didn’t bring me much more warmth. She was just a bit one-dimensional but I accept that it was important for this to be her history so that she is the perfect person to do the research. I relied on Geoff and his mother Maggie to bring warmth to the book when it was lacking elsewhere. They were larger than life and quite a fascinating pair- as were the various rabbis involved. Swerling has written a novel full of points of interest and I’m still trying to absorb all the information she managed to cram into it- saying that though, Bristol House was well written and fast paced and not at all slowed down by the details.